If you have been following me, then you know that I have been trying out a low carb life. I had fallen off for awhile, but tonight I am back with a bang! 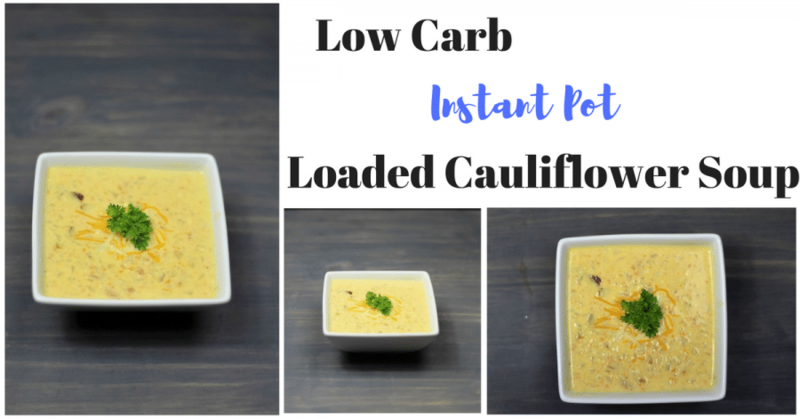 Check out this Instant Pot Low Carb Loaded Cauliflower Soup, it was so easy in my Instant Pot. Y’all I swear this thing is amazing! Like I can not use it enough. The Instant Pot is so fast and easy, I can’t wait for a second one. This recipe made a ton of soup, I still have some cooling in my Pot that I plan on freezing later, as a part of prep. For more recipes join our groups Food Blogs and Recipes and Instant Pot Recipes and Talk on Facebook. There are so many great recipes here, stay a while and check them out. 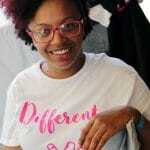 And if you are looking for more pressure cooker recipes go here. A few more great Instant Pot Recipes. Use a blender to chop all veggies. Set your Instant Pot to saute and brown bacon. Add butter and chopped veggies and saute about 5 minutes. Add all other ingredients saving half the cheese. Cook on High Pressure for 30 mins, natural release. 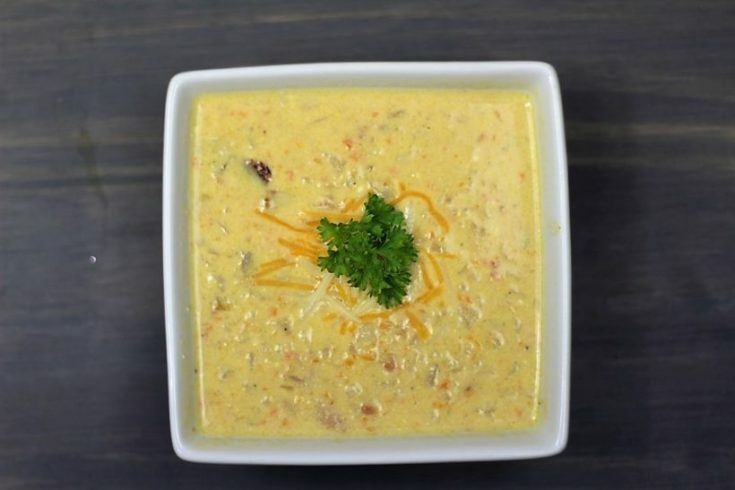 Spoon into a bowl and top with remaining cheese. so what do we do with the saved cheese?!? 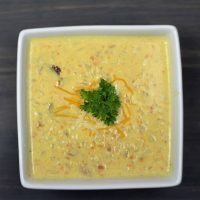 What are the macros for a portion of this cauliflower soup?